"NIA to be a global institution of excellence in learning and research in Insurance, Pension and allied areas." 1. To build capacities in the management of Insurance, Pension and allied sectors. 2. To create a stream of young talent for the Insurance, Pension and allied sectors. 3. To provide strategic approaches in the Management of Insurance, Pension and allied sectors. 4. 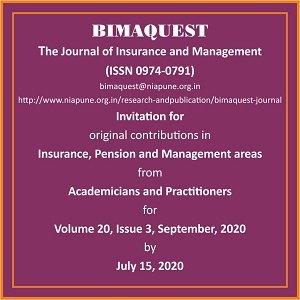 To undertake and create an ambience for policy research in Insurance, Pension and allied sectors. 5. To promote learning: education and training in Insurance, Pension and allied sectors.